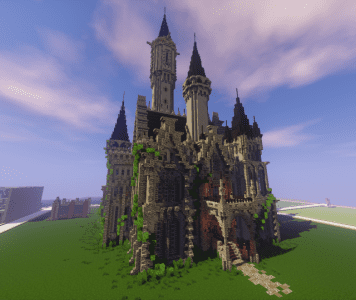 Castle is a creative minecraft map . Bored of playing parkour and puzzle map? How about exploring a castle and play pretend that you’re a King Arthur. This is a newly created map by GameBuzz. While he did not mention how many rooms is in the castle , I can assure you that it is huge enough to explore . I hope it does for you too..